I’ve worked as a pet-care consultant for over six years and love rats. That’s a good dose of daily ignorance that I come across during my work hours. People will venture into the pet store looking for a new addition to the family and find their way to my side—the small animal department. At first, everyone notices the rabbits and only the rabbits, but when it becomes apparent that rabbits need more than just food and water every day, they begin to look for less demanding pets. As they meander about, they come across the small rodent section and stop cold. A cringe breaks the corners of their mouths at the sight of playful baby rats scampering about their cage. Gross! In the next moment, they find themselves swooning over the adorable dwarf hamsters that paw and nip at fingers venturing too close to the bars of the cages. Does it make sense? No. Will it ever change? Probably not. 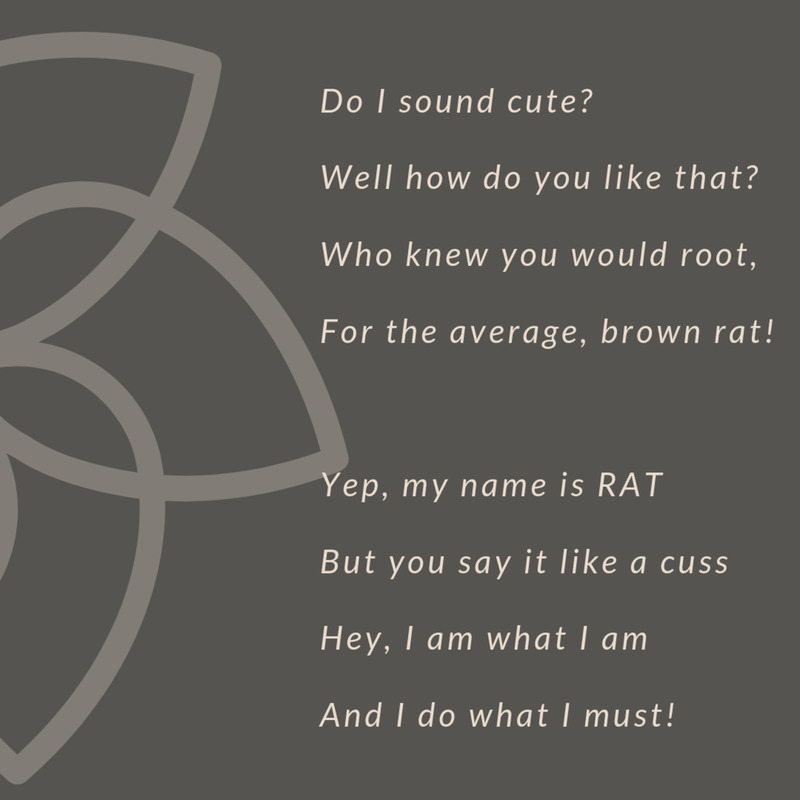 But for those who would wish to set aside their stereotypical view of the common sewer rat crawling up out of the toilet and eating the baby, here is a detailed professional care sheet on the pet rat, also called the fancy rat. Contrary to popular belief, rats are not the swarming, vicious rodents of movies like "Ben and Willard." 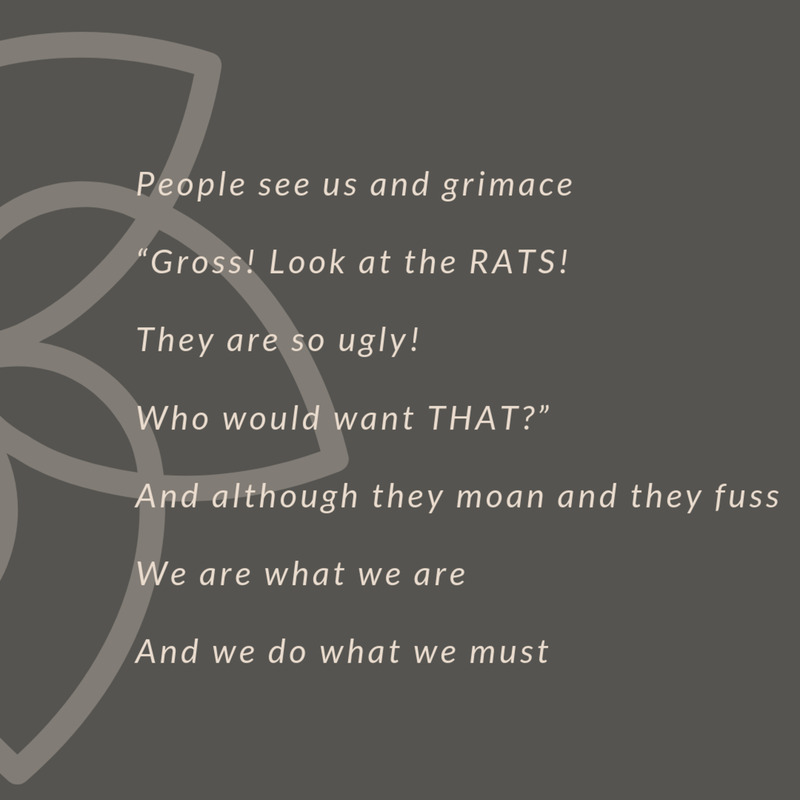 I was very pleased when Disney’s "Ratatouille" came out, because for once these poor, little critters were not the hunch-backed, red-eyed villains of most other cartoons and movies featuring rats. 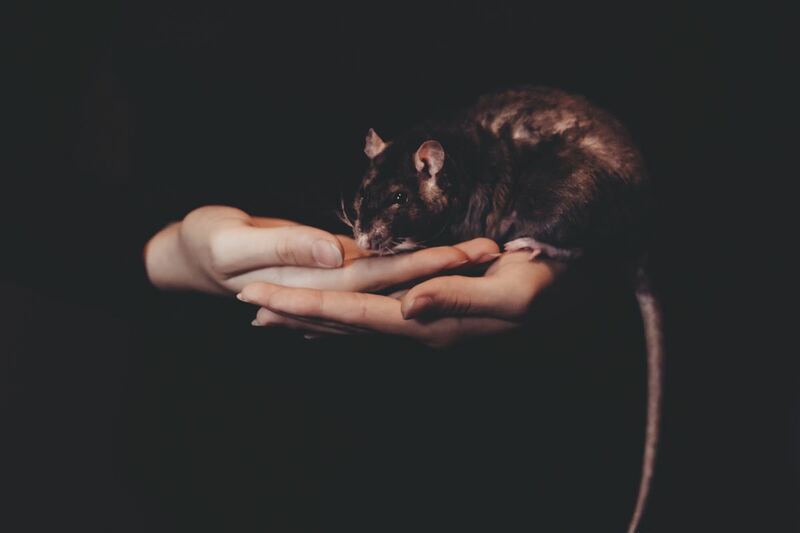 Do Rats Carry the Plague? A wild rat is no more thrilled to see you than you are to see it. 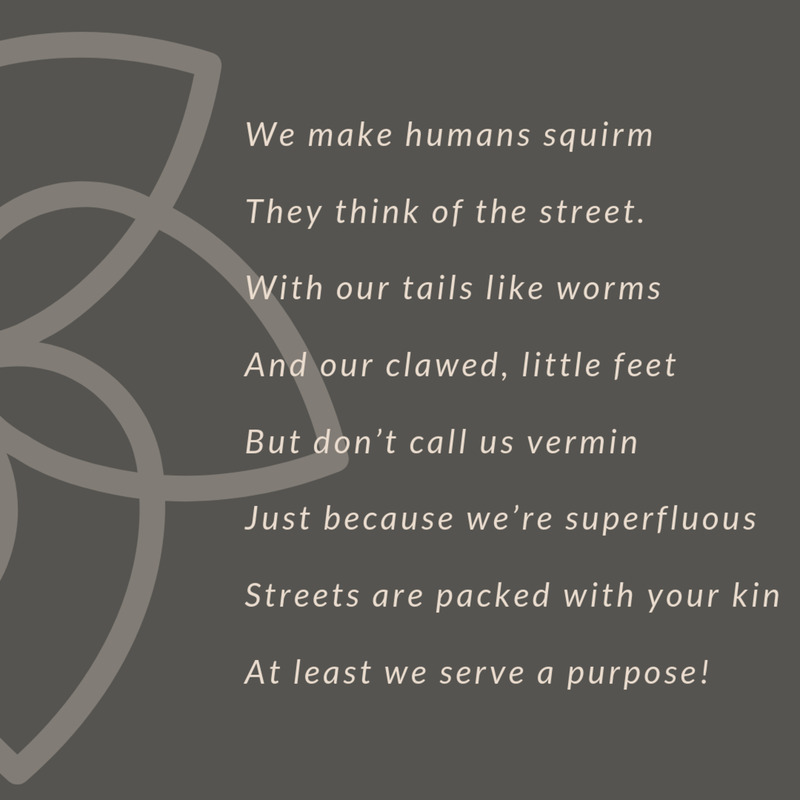 Rats only live near people because we leave out such darn tasty garbage and live in great places to nest. The fact is that wild rats do what they can to survive. They only become a problem to humans when we offer them the proper surroundings. The Black Plague we all read about was spread by way of the flea, which can also latch onto our cuddly cats and dogs. The plague epidemic has ended, by the way, and oh yeah, we have penicillin now! Rabies is a big concern a lot of customers have when they question me about rats. I find this utterly ridiculous, since pet store animals have not and probably never will make contact with wild animals. Rabies cannot be born into an animal, nor can an animal or person catch rabies without being bitten or scratched by an animal already afflicted with the disease. I cannot believe more people don’t already know this. I remember one time, one of our pet store rats bit someone who poked at it through the cage bars and irritated it. The person freaked out and demanded we send the animal away for rabies testing, and if you don’t already know this, rabies testing involves killing and decapitating the suspected animal. What a waste and what a shame. I can bet you any amount of money that if a rabbit had bitten the guy, he would have chuckled and walked off—no rabies testing asked for. Still Don't Like Pet Rats? So, after reading my little rant, how do you feel about rats now? Still disgusted? 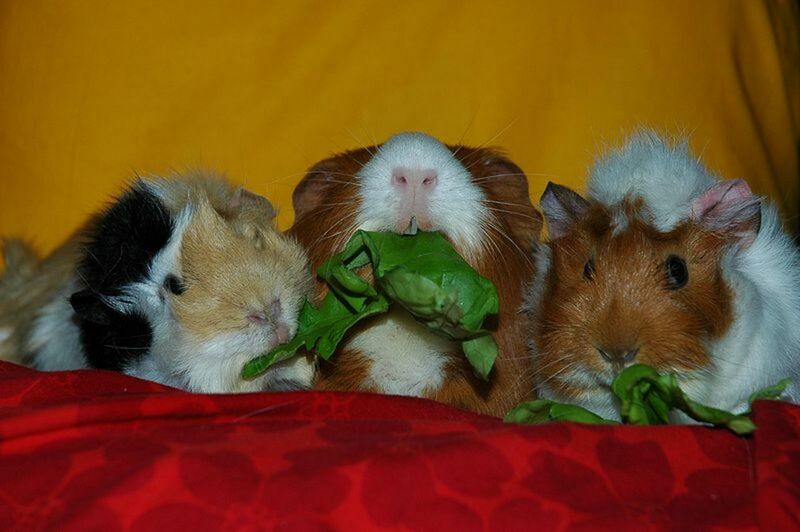 Then you might as well click off this page and look up something on guinea pigs . . . I am never going to get through to you. 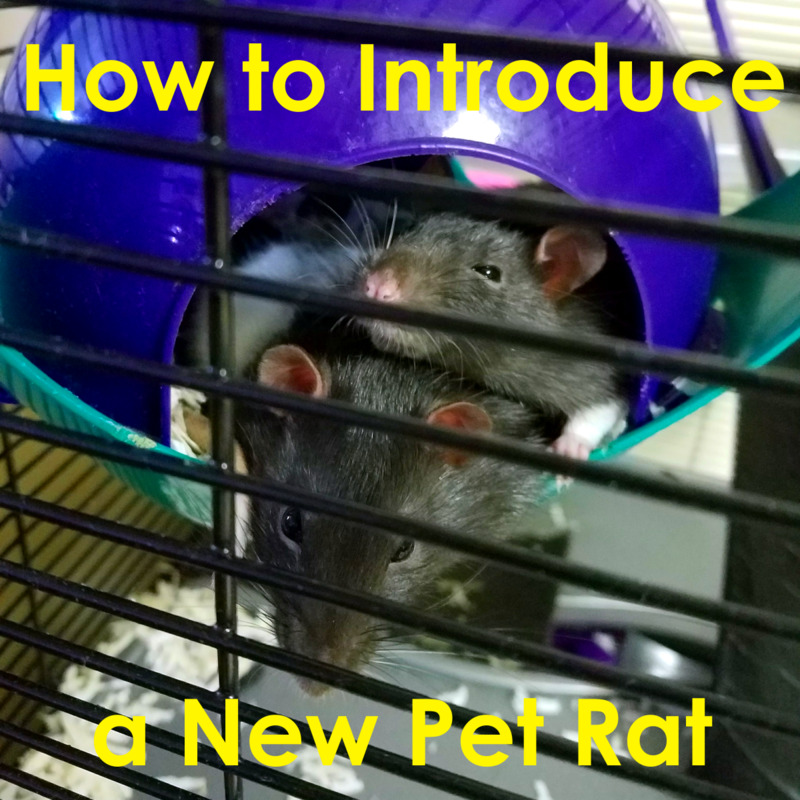 If you’re finding yourself more interested in keeping pet rats, read on, because I have the perfect set of instructions for you. Keeping rats is a big responsibility that is not to be taken lightly. A rat is a living thing that depends on you for its food, water, hygiene, warmth, and security. For the two or three years you will have your little buddy, you essentially control his livelihood, so do not jump into rat ownership on a whim because guess who will suffer for it? Your pet. The first thing I recommend doing before heading to the pet store is to do your research! Reading about your new pet before you get him is crucial so that you will not end up jumping into something you are not ready for. 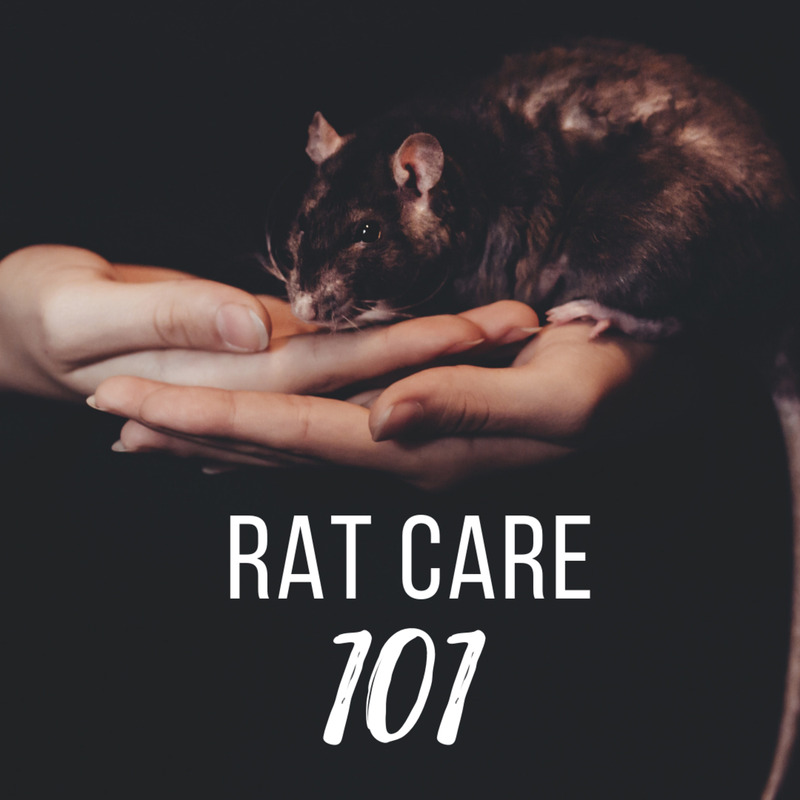 Though I am an experienced rat keeper, I strongly suggest that after reading my article, you go out and purchase a book on rats to really dive into what keeping rats is really all about. My information will get you started, but there is a whole range of information that I simply can’t cover here that you ought to know, so start researching! The second thing you need to do before bringing home the rat is to purchase the cage, and there are many styles to choose from. Some people will say that keeping rats in aquariums works well and they have never had a problem with it, but I have a problem with it and I’ll tell you why. For one thing, aquariums are designed for fish, which do a whole lot of swimming back and forth and nothing else. Rats are energetic and love to explore, so narrow fish tanks are not going to offer them the climbing and running space they need to live a fulfilling life. Even a huge fish tank will not do the trick and it will be expensive anyway. Also, fish tanks can create humid, germy environments that can eventually lead to respiratory problems in small-lunged animals like rats. It is very hard to clean a heavy aquarium properly and really get into the corners to clean out the gunk and sanitize it. Bacteria will build up and not only make it smell horrible, but create a very unsafe environment for your rats. I suggest using a wire cage (preferably powder-coated) with bars that are spaced no more than an inch and a half apart. If possible, get a cage that is constructed with both horizontal and vertical bars so that it eliminates the chances of a baby rat getting stuck or escaping. A rat can escape through any hole it can get its head through, so don’t tempt him! Also, barred-wire cages provide a lot more space for your rat to climb, give you places to clip on toys and hammocks, and provide ventilation to promote good health. If you have a closed up aquarium, even if it has a mesh top, your rat is going to be spending a lot of his time breathing in his own poop. Gross! Get a wire cage. What Size Cage Do I Need? Now, sizing is another big step in cage selection. I suggest a multi-leveled home that is at least as tall as it is wide with ramps and shelves. Depending on how many rats you intend on keeping, you may end up having to go with a good-sized ferret-style cage rather than one intended for rodents. I suggest keeping a single pair of rats in a cage with at least two shelves that is no smaller than 2' x 2' x 2', but bigger is always better! Hammocks and hideouts: Rats should always have a hanging ferret bed in their cage. It gives them a nice, comfy spot to hide and sleep. They should also have at least one wooden hide out per rat in different areas of the cage to provide privacy and security. Chew yoys: Rats also love to chew! Wooden hamster blocks and chew sticks are great for this habit, but don’t limit yourself to the rodent section of the pet store. Some of my rats' favorite toys were not even designed for them! Cat balls with bells in them can be lots of fun, as can hanging bird toys with different textured wood and rawhide. Stay away from toys that have small parts like beads, or your rat could choke on them. Reused toys: I also love to give my rats tissues boxes, toilet paper tubes, old, clean socks, shirts, and any other “clean garbage” I have laying around. Never give your rats thin plastic or anything treated with lacquer, perfume, glass or tile cleaner, or oil. Use common sense. If it is safe for a toddler, it’s probably safe for your rats, too. Of course, you’ve got to feed and water your rats! Choose a plastic water bottle (available in almost all pet stores), preferably a clear one so you can see how low the water level is. Do not get a glass bottle as these are easily shattered. Always attach the bottle to the outside of the cage or the rats will chew it apart in hours. Make sure the metal tube with the ball inside of it is drip-proof and easy to access through the bars. Your rat will drink from it by moving the metal ball with his tongue, so make sure you do not get an oversized bottle with a ball that is too heavy for him to move. I find a 16 oz. bottle to be very appropriate for both baby and adult rats. A 32 oz. will probably work too, but it won’t deplete as quickly. Sounds like that would be a good thing, right? The reason I say it isn’t is because rats do not go through water very quickly, and it will end up stagnating in the bottle and algae will build up. A 16 oz. bottle will keep two rats watered for about two days, and then you should rinse it out and refill it. You will also want a small- to medium-sized ceramic food crock designed for small animals. Always place the crock away from the edges of shelves so it does not fall down and crush one of your pets! Make sure it is not situated directly below the water bottle or else water will drip down and spoil the food. Keep an eye on the food level and fill it when it is more than half empty. Check around the cage, though. 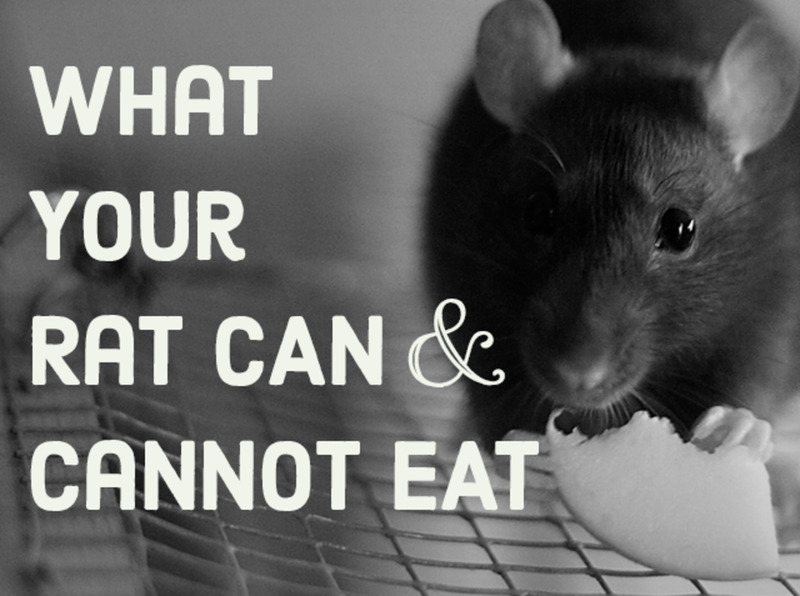 Rats love to hide their food, so they may have more food left than you think! You do not want to waste food. Sanitize the water bottle as well as toys and food dishes once a week. You can use a bottle brush to scrub out the inside of the bottle. Wash the metal sippy part too! 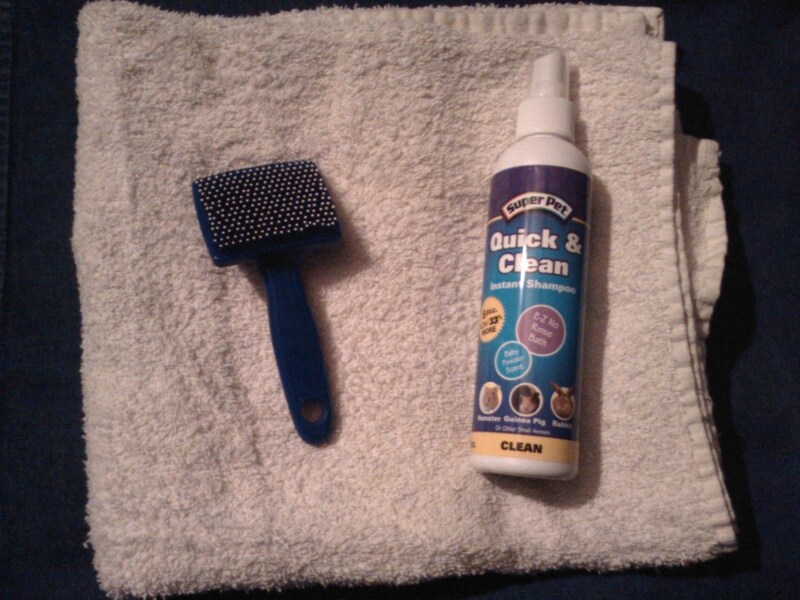 You also want to use this time to wipe down the cage tray with an animal-friendly wipe or a soapy rag. I sanitize the furniture and tray once a week for my single rat, but if you have more than one per cage, you may want to do it two or three times. Also, every two weeks or so, give the wire a good misting with cleaning solution. Let it sit for about ten minutes and rinse it very well with hot water. Dry everything before it goes back to your rats. This is where the debate thickens, as everyone has their own preferred food and bedding. I will level with you. There is no perfect food or bedding. Some things work for some rat owners better than others. Some rats are more sensitive to dust or allergens than others. Some rats are pickier than others. You will learn new things all the time about your rat—I know I still do. Over the course of each of my rats’ lives, I have found out what brands of food and bedding have worked best for them, but please remember that there are variants with every rat, and a veterinarian experienced with rats will be the best person to talk to if you are concerned. Generally, I don’t like to use wood-based beddings in ANY small animal’s cage because of the dust and oil involved. Cedar bedding (big, reddish and brown chips) smells nice, but makes a better potpourri than a pet bedding. Animals have been known to get severe respiratory infections from cedar, and the large pieces can be eaten and create intestinal blockages. I learned this the hard way when I was a kid with my guinea pig, Pepper. Pepper stopped eating and drinking, so we took him to the vet and found out he was suffering from intestinal inflammation—it was causing him to get bloody diarrhea and he became very dehydrated. Though we treated him with an antibiotic and force-fed him water through a dropper, I still lost him to cedar bedding. Stay away from it. Pine shavings (yellowish in color) are probably the most popular bedding for small animal keepers because it is cheap and easy to find. A lot of animals do well on it, though it can still cause respiratory infections and can be very dusty depending on how thinly cut the pieces are. Rats are very sensitive, so it is best not to use pine in their cage. I am an asthmatic, so I think about these things when I am buying bedding. If it’s dusty and it makes ME sneeze just from cleaning the cage, think about how the poor rats must feel living in the stuff! Aspen (stringy, yellow pieces) is probably the best wood-based bedding to use if you are going to opt for wood-based beddings, which I don’t. It has the lowest amount of dust of all the wood beddings and its long, stringy pieces create nice nesting material. Personally, I hate the smell of it. It makes me sneeze and my asthma acts up, so I am not much into aspen. Some rats can also be allergic to it, so watch for problems if you choose aspen. My preferred beddings are the brands Carefresh and Boxo. Carefresh is made out of recycled paper material, and Boxo is made from shredded cardboard boxes. Both of these beddings are a little bit dusty, but they have never made me sneeze and my rats do great on it. I tend toward Boxo more often since Carefresh is cut into larger pieces and is a little more expensive. Boxo is more finely shredded and packs down easier, saving more space and money. You can get a huge bag of about 102 dry quarts of Boxo for around thirty dollars. Regardless of which bedding you choose, always keep an eye on your rats and make sure they are not sneezing an abnormal amount, getting reddish mucus around their eyes and nose, scratching or biting themselves, getting red welts or scabs, or losing fur. Any of these symptoms could be a sign of allergies, so change the bedding and see if it improves. If not, your rat may be sick. Take it to the vet right away. What Can I Feed My Pet Rat? When it comes to food, most experienced rat keepers can agree that seed mixes intended for hamsters or mice are a no-no. Rats are like children with marshmallow cereal and will pick out the junkiest part of the mix and leave the healthier bits. They will get fat on seeds and will not be as healthy as rats kept on commercial rodent blocks, also called laboratory blocks. My favorite brand is Forti-Diet rat and mouse food, a bland rodent block designed for all rodents. All of the hamsters, rats, mice, and gerbils I’ve kept have been on this food exclusively and stayed trim and fit with nice, shiny coats. There are other brands of lab blocks available, and some people will argue back and forth about the protein levels in each one and how much protein is too much. How Much Protein Do They Need? I like to keep the protein levels between 11–18 percent. If you are offering your rat daily treats of fresh green veggies, and occasional treats of dry pasta, grain-based cereal, and a little bit of kitten kibble, your rat will get plenty of variety and will do great on a base diet of blocks. A little bit does not mean a human-sized handful! Look at the size of your rat’s head and feed him a piece half the size of that. Think about this: A single Cheerio in a rat’s paws is the equivalent in portion to a whole-sized doughnut in ours! When it comes to veggies, a half leaf of red romaine or a sliver of green pepper is enough. Do not give your rats a lot of fruit. It can cause obesity and diarrhea. Once a month or so, half a grape per rat is plenty! Now you’ve got it all! You have a large multi-leveled wire cage big enough for two rats with plenty of toys and hiding spots, a ferret bed, a full food dish and water bottle, and some nice, soft bedding. Now all you have to do is add the rats! Happy day! I always say two is better than one when it comes to small animals. Rats, especially, are social creatures that do best in the company of other rats. Will This Reduce the Chances of Bonding? 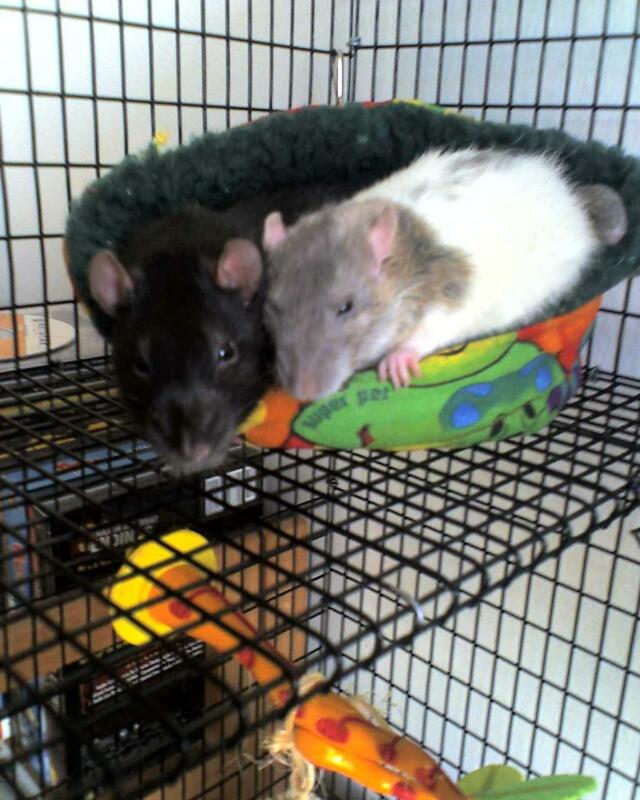 I’ve been asked if having two or more rats will reduce the chances of a rat bonding to its owner. The answer to this is "no." Rats feel more secure when they have a friend and are less threatened by the much larger human moving around their cage. They will huddle together for warmth, groom each other, wrestle and chase each other, and keep each other occupied when there is no human around to let them out. I have noticed that one rat often seems to be friendlier with people than the other. There is always one that is a little more skittish and apt to hide, while the other may jump up on the cage bars begging to be let out. This is not always the case, but the reason for this is that one rat always has to be dominant and the other submissive. The submissive rat is more likely to be the one hiding, since he is waiting for the dominate rat to check things out first. This doesn’t mean that he will be mean or scared of you—it is just the natural way rats react to new things. Give your rats a few weeks to get used to you, and both should be sticking their noses through the bars begging for your attention. When it comes to male versus female, it is all a matter of opinion. While males do tend to urinate to mark their territories more often than females (and you can neuter him to eliminate this behavior), they do not stink any more than females. All animals stink if you do not clean their cages, and rats are no exception. I find that males have a stronger body odor but not excessively so. You only notice it if you are sticking your nose in the rat’s fur! Male rats also tend to be larger than females and tend to be less active. A happy male will perch himself on a shelf and observe the activities of his humans all day while the female will be happy building a nest or running on her wheel. Males also seem to sit still longer when you are holding them. Female rats are usually a bit smaller and have a narrower snout than the male, and as a rule, are more interactive with their owners. Both male and female rats are loving and affectionate and will lick their owners and make pleasant chattering sounds when happy. Both males and females can be trained to a certain spot to potty, perch on their owner’s shoulder, and respond to their names. Rats can be let out of their cages to run free for a few hours a day as long as cats and dogs are locked out of the room, cords are lifted out of the way, and chewable temptations are removed. Unlike hamsters, rats will not disappear—never to return. They like the security of their cages and will eventually go back to them if the cage is left on the floor with the door open. Never chase your rats or corner them, or they will not want to come out of hiding. I let my rats out every day while I am on my computer and will feel them climb onto my foot and wait to be picked up and cuddled. Do not use runabout balls. Balls are cruel! The rat is basically trapped in a bubble and cannot go anywhere or do anything. Rats of both sexes are very intelligent, so make sure you utilize this intelligence and give your rats plenty of attention and free time outside of their cage to stimulate their small but very versatile minds. Inbreeding: Rats can develop tumors, are prone to disease, and live shorter lives if they are not bred properly. Overpopulation: There is already a pet overpopulation issue, and breeding your pets just for the fun of it just makes things worse. Taxing on the parents: Think about the welfare of the parents. Breeding takes a lot of energy out of a female rat, and both sexes become very aggressive when there are babies in the cage to protect. Finding homes: Think about the babies. 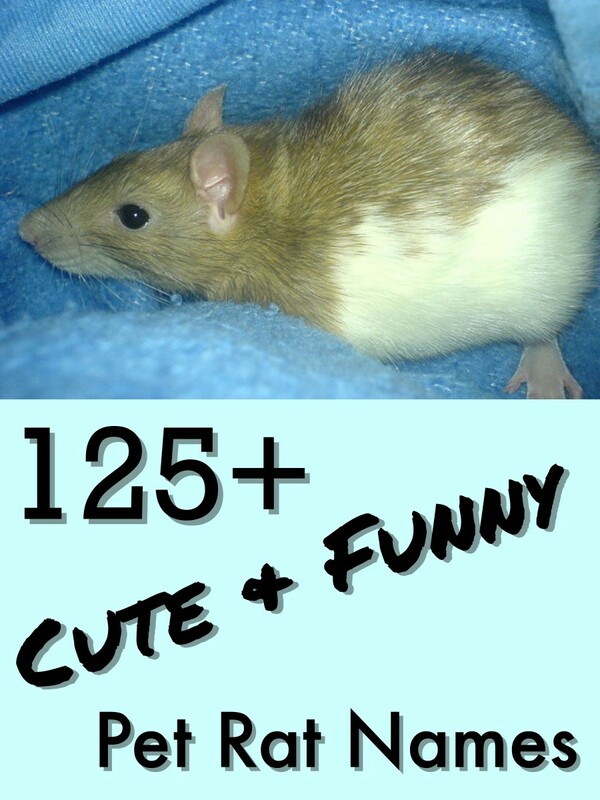 Rats can have litters as small as 3 and as big as 20. They will need homes, and not many people are just going to be willing to take them off your hands. Pet stores are already overrun with unwanted baby rats and breeding should be handled by professionals. The need to sterilize them: If you must have a male and female rat, get one or both of them fixed. I had a fixed male and female together for years without any problems. Some veterinary school programs offer this service for free. Everything you’ve just read is from my own personal experience. 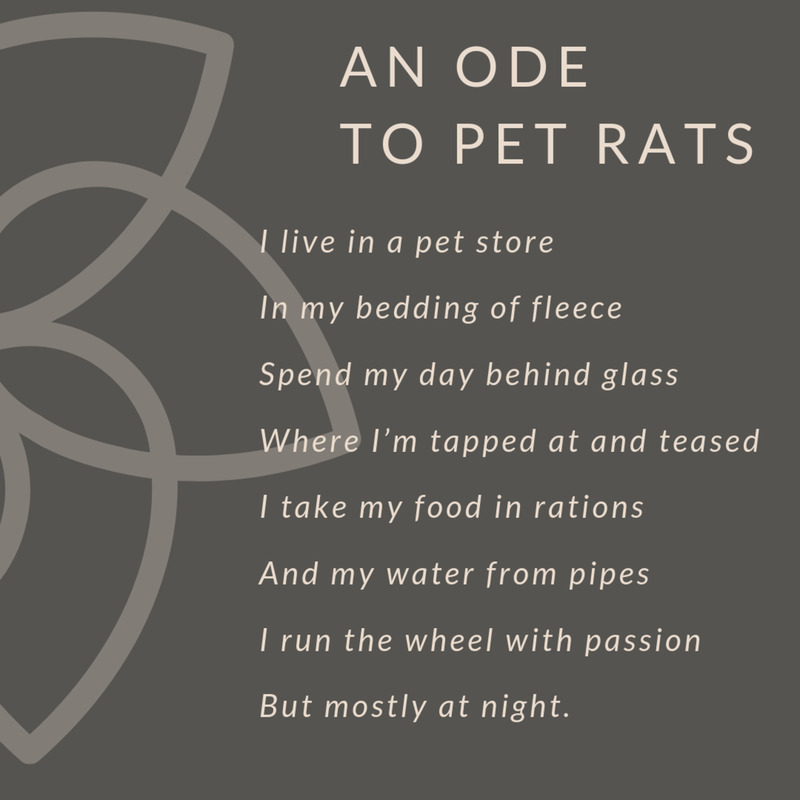 Talk to several rat owners and find out what it’s like to have them. Hop online and check out articles and pet care websites, or go to the library and pick out a few good books. There is a lot more out there to learn and you should have fun doing it! Always have a vet’s number available and remember to pay attention to your rat's needs. You and your rat should live a long, happy life together. Happy rat ownership! I agree with all this information I have had rats all my life I currently have 4 males Oscar, Felix, Scot, and Zeke, and one female name Sparkles. They are a lot better pet than my brother's gerbal Clover she is always trying to run from us when we have her out and bits us once and a while. 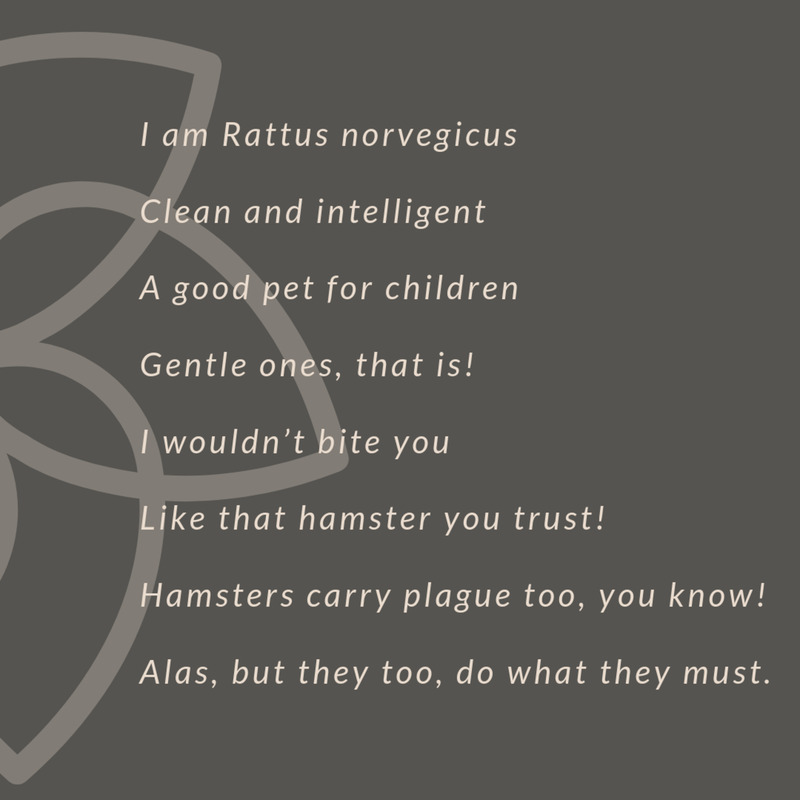 HI, loved the poem and the article good stuff thank you, I love my ratties, they are awesome. I did alot of research when I bought them and I read alot of things that says any wooden shavings can be hazerdous to their lungs. exspecially aspen. Have you heard that as well at all since this article? I agree with one thing and that would be NEVER KEEP ONE RAT ALWAYS TWO! I recently got my first every rat and, I thought that if I only got one it would bond with me not another rat. But lupin quickly became depressed, and lonely no matter how much attention and entertainment I provided. And in the end he died from stress related issues, most likely caused by his loneliness. I would advise getting two or more happy and healthy rats, and if they were more attached to each other than I, I wouldn't care as long as they are happy and healthy. Great hub overal. Didn't agree with anything you said in particular. Just got two new rats today (boys): Solo and Ewok. Someone said to always have two rats, never one? I disagree. Having more than one rat makes them bond more with each other than with you, plus twice the mess :). Having one makes him/her bond more with you. Now, if you have only one rat, you should take him/her out at least everyday. I take mine out 2 or 3 times a day for at least 15 minutes. It is very important to get them used to there surroundings, inside and outside of their cage. This says the bars on a wire cage should be no more than "an inch and a half" apart. This is WAY too far apart! A fully grown rat could easily get through that. I wouldn't go more than half an inch. A cage designed for a ferret or rabbit likely has the bars too far apart for rats, just as a cage for a hamster is likely way too cramped. I would also suggest a glass bottle, plastic has so many chemicals in it. Plus how is it going to get shattered?? Refill with new water every day and thoroughly wash the bottles/bowls/etc. at least once a week. I would NEVER use bleach because it is so toxic, you can't always know that you definitely got all of it off. I use hot water for light cleaning and a natural, gentle dish soap for more thorough cleaning. Unless you have some sort of virus spreading through your rats, there is no need to use bleach or anything strong like that. Just don't use any kind of wood bedding, period. Rats have VERY sensitive respiratory systems. In fact, many rat owners don't use any kind of bedding as even the paper/cardboard stuff like CareFresh can be a problem. I personally put a towel down on the plastic tray bottom, making sure it goes over the edges so that the top metal part will hold it in place. This is better for their little lungs, easy to clean, prevents them from chewing on the plastic tray (unless they chew through the towel, obviously), and prevents any bedding from being kicked out of the cage. I also think it's fun to be able to swap out colors. I use paper pellet cat litter in the litter box (no clay or fragrances). Sometimes I will put some CareFresh in their little igloo when it's cooler, but they also like to nest in bits of fabric or washcloths. AT LEAST TWO RATS, never just one. DO NOT breed them, make sure you keep the sexes separate at all times. the two things I disagree with - you didn't mention fleece as bedding, and glass water bottles are MORE sanitary than plastic ones and last a heck of a lot longer I've been using glass for years! To the author of this page: You might want to consider pulling back a bit on the 'tude. I have faced my share of "rat discrimination," but this isn't the way to win them over. People (rat-loving people, to boot) come to this page for information on proper care and environmental enrichment, not a ranting diatribe. 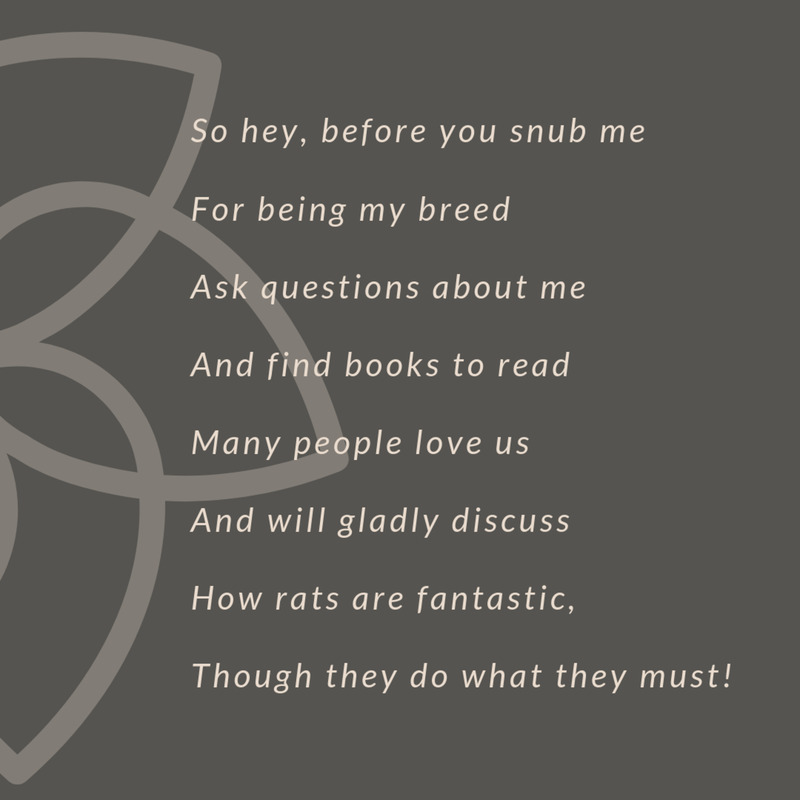 If a non-rat-lover stumbles to here by accident, their opinion on rats isn't going to be changed by your insults. Wire floors are not proven to be the cause of bumble foot, and as long as they have soft spots(like that bed), the base is hard plastic (like she said), and overall the cage is kept clean, there should be no problems. If you are really worried about it though, you can always put wood or sturdy fabric over the wire platforms to keep them from walking directly on it. I have always used wire cages and never had a problem. The wire is powder coated and it is only on the shelves. The bottom of the cage is flat and plastic. My rats have never had foot issues. No no noo! The last picture with the ratties on the wire floor is a big no! Rats should never have wire flooring like that. It can give them sores on their little feet! It is extremely not safe for them and should never be used. Nice hub. 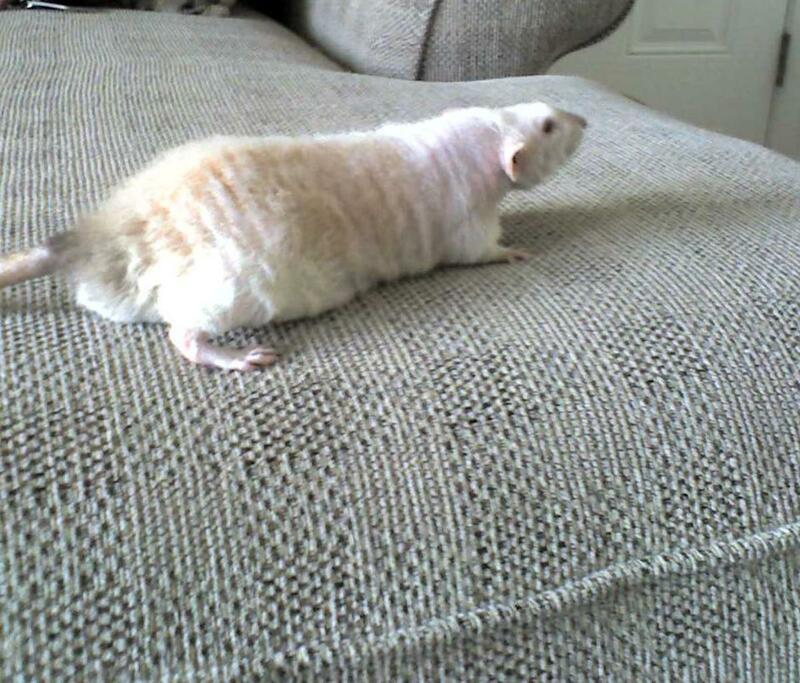 I think you've done a really good job of covering all the rattie basics.